We recently interviewed award-winning author, educator, and speaker Madalaine Pugliese, MS, EdS. Attainment now offers several products based on this framework: Stages (a book and ebook), Stages Math Software and iPad App, and Stages Math Intervention Kit, which combines the software, app, hands-on tools, and Look at Math curriculum for a blended math solution. In the interview below, you'll learn how the framework came to be and how it can make a difference in your classroom. If you have questions for Madalaine, please share them in the comments. And be sure to enter the giveaway below this post, for the chance to win your own Stages Math Software! How would you describe the Stages Framework to an educator who is unfamiliar with it? What does it do and how? The Stages Framework gives educators and therapists who serve on service delivery teams a way to organize and synchronize learning for students with intensive special language and learning needs. Realistically, each of the members of a special education school-based service delivery team is professionally prepared differently. Each one uses very different language or terminology to describe the same student. The Stages Framework gives this group the opportunity to use the same Observable Skills Checklist in order to consider the learning needs for the student. Therefore everyone on the team can communicate using common language considering observed competencies with regard to deciding on an individualized education plan. 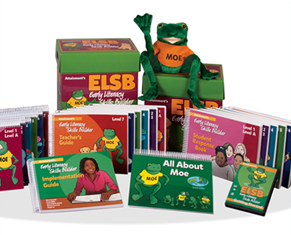 Stages One through Three, based on language development milestones, are sequential and focus on building the linguistic foundation for learning. Stages Four through Seven are based on recognized cognitive and academic milestones or standards. Not sequential, they work together to build competencies within an interconnected academic discovery skill set. 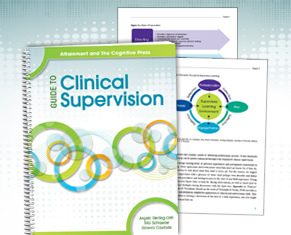 to provide an Observable Skills Checklist as an informal assessment tool for learners whose competencies are often difficult to measure any other way. Can you describe the process of developing Stages Framework? Originally I enjoyed serving as a special education teacher, my students having intensive special needs. I knew all of my students were active learners, however, some were working on skills that were different from the standard mandated curriculum as required by the school district. At the time there were no curriculum guidelines for us to follow so I decided to design my own. Having been prepared as a teacher to appreciate Piaget’s cognitive developmental milestones, I went in search of a similar but more fundamental framework that would lead into these indicators. That’s when I found Noam Chomsky’s framework on the acquisition of language. Combining these two philosophies, first Chomsky’s indicators as a foundation, then Piaget’s in developmental sequence, the Stages Framework was born. At the same time there was a new field emerging called assistive technology as a methodology for teaching students with special needs. There were a few wonderful publishers creating materials that were perfect for addressing the needs of my students. However, use of these tools needed to be organized into a strategic implementation plan. Because assistive technology solutions were just emerging and because the Stages Framework is designed to provide a strategic learning program, it seemed like a natural fit to recommend appropriate materials that align with competencies identified for each stage. 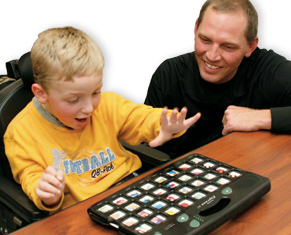 As the assistive technology field matured there has been an ongoing effort to keep these recommendations up to date. What inspired you to develop Stages Math Software and iPad App? As we have discussed, the Stages Framework is designed to help educators, therapists and parents identify appropriate learning materials that offer the features that might facilitate access to curriculum content. Over and over I received calls and emails requesting assistance with finding accessible resources for math. The more I researched potentially useful materials, the more I realized that there was a huge scarcity of appropriate and accessible materials. The basic building block for all math skills is number sense: the ability to recognize numbers, to identify their relative values, and understand how to use them in many ways. For success in math, learners must be able to use numbers fluently; count, compare and sequence them; find them on a number line; identify parts of a whole; and recall basic math facts quickly. The skills addressed in Stages Math Software and iPad App are foundation number sense skills. They must be mastered and recalled automatically, or tools must be seamlessly incorporated, in order to build the mathematical foundation needed for the rest of the math curriculum. The Stages Math Software was developed because I believe that facilitating accessible skills practice in this fundamental mathematical foundation is not an option. Why did you decide to partner up with Attainment? Attainment has been dedicated to creating products for learners with intensive educational and language development needs since its beginnings. I have always been impressed by Attainment’s unwavering focus and belief that all students can be active learners when working with the right materials. 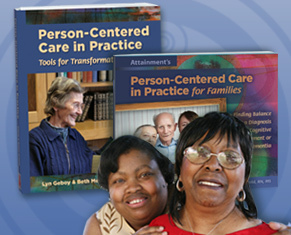 Attainment’s publications not only support learning in meaningful ways, they also support educators and therapists by providing outstanding teacher’s guides and well-designed, ready-to-use curriculum materials. When the opportunity to partner with Attainment happened, it was a natural fit. Having dedicated my professional life to finding ways for all learners to actively belong and be successful in their local community schools, here was a company who was successful and dedicated to the same goals. We are so grateful to Ms. Pugliese for sharing her insight! To win your own Stages Math Software, enter the giveaway using the widget below or on Facebook. The contest is open until March 20th at 3pm CST, and we can ship your prize anywhere in the 48 continental United States. Be sure to take advantage of the many entry methods available! Grant proposal is in. Hoping to be awarded a grant so we can purchase numerous items from Attainment. That's fantastic, Darlene! Best of luck with the proposal. This would be great for the students in my classroom. Hi Alison, thanks for commenting! Let us know if you have any questions we can help with. Wow! Fascinating! My son is struggling with math but is an iPad guru. This seems like a great program for the classroom. Fingers crossed on winning a program! Lol! Attainment rocks! Hi Kelly, thanks for commenting and for the nice compliment! It sounds like this could be very helpful for your son. Best of luck! Can your software be accessed by students with vision impairment? Kathryn, the strategies used within the program were not designed specifically for students with vision impairment, however please feel welcome to check-out a free trial of the app version of the program at the Apple Store to see if it would help your students. If there is a specific feature you are curious about, I would be happy to speak with you further! Thanks for your question! Are there any prerequisite skills necessary for the use of this software? Does a student need to first have 1:1 correspondence? Yes, the prerequisite skill for this program is understanding 1:1 correspondence. Thanks for checking in, Kathryn!